Since co-founding Blackhawk in 2008, Drew has helped Blackhawk grow and develop its real estate operations. Drew has participated in the acquisition, development, and financing of more than $500 million of real estate projects across the country. He previously worked at three national real estate development firms, each focusing on different real estate product types, giving him a broad set of knowledge in the office, retail, market-rate multifamily, and affordable multifamily sectors. Drew’s real estate career began at age 19 when he bought his first rental property with money earned from an internet business which he started while in high school. That purchase attracted national attention when Home and Garden Channel (HGTV) featured Drew as an up-and-coming real estate investor. Drew is an avid traveler and has been to over 20 countries, including some of the world’s emerging markets such as India and China. 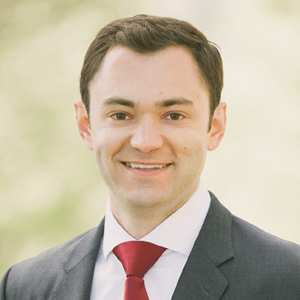 Drew received a BBA in Real Estate & Urban Land Economics from the University of Wisconsin – Madison Business School where he graduated with distinction. 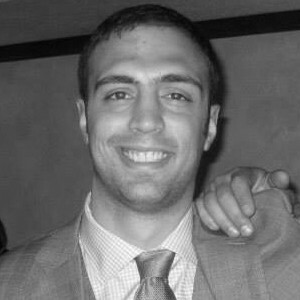 Drew is a member of the Art Institute of Chicago, Union League Club of Chicago, and numerous real estate organizations. He is an Urban Land Institute Young Leader and has volunteered as a Big Brother for Big Brother Big Sisters of America. Since co-founding Blackhawk in 2008, Brian has helped Blackhawk grow and develop its real estate operations. Brian has participated in the acquisition, development, or construction of over $100 million of real estate projects throughout his career. Brian previously worked for a national multifamily housing developer and a family-owned business. Brian owned and operated a commercial construction company and organized multiple private real estate investment partnerships before devoting his efforts towards Blackhawk full-time. Brian’s real estate career began during the summer after graduating college when he bought and remodeled his first rental property with the help of his dad. Brian continues to buy, live in, renovate, and rent out properties in his spare time. Brian enjoys traveling, reading (autobiographies and The Economist in particular), technology, and discussing the merits of good design with his architect brother. Brian received a BBA in Real Estate & Urban Land Economics from the University of Wisconsin – Madison Business School where he graduated in 2009 with distinction.